Home Android Popup date picker or time picker dialog on click of edittext or any view in Android. Popup date picker or time picker dialog on click of edittext or any view in Android. Step 1 : Include Library in Apps "build.gradle"
Thank You for your Visit +1 and Comment down. 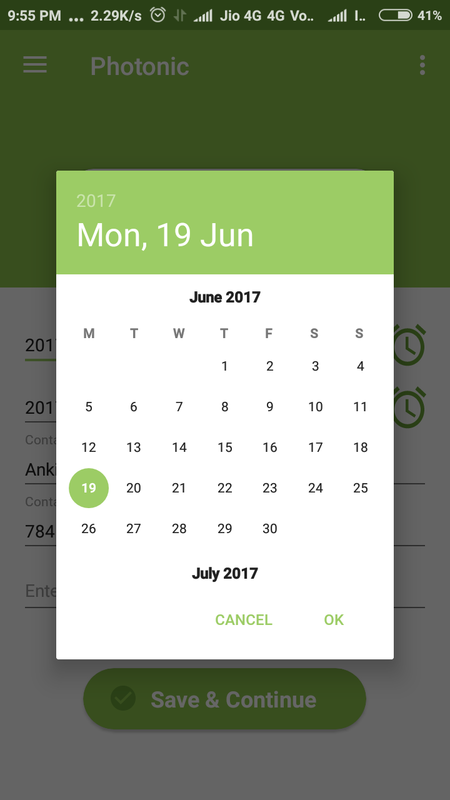 Good and simple tutorial on Datepicker and timepicker dialog.